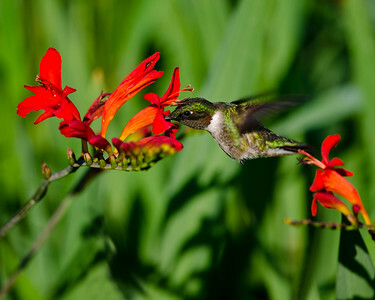 This male Ruby-throated Hummingbird loves the right red of this Crocosmia blossom. 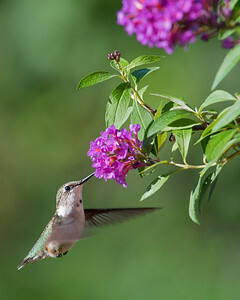 A juvenile male Ruby-throated Hummingbird enjoys the trumpet-shaped blooms of this Lantana plant. 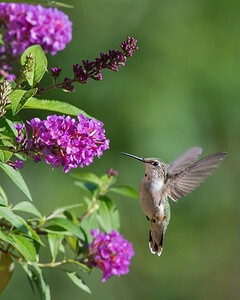 Juvenile male Ruby-throated Hummingbird enjoying the blooms on this butterfly bush. 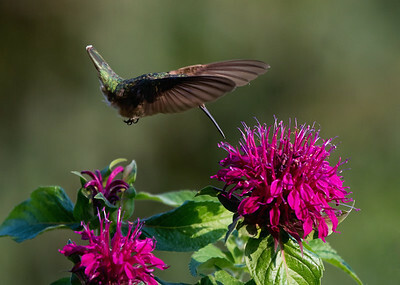 A ruby-throated hummingbird flexing in mid-air over some bee balm blossoms. 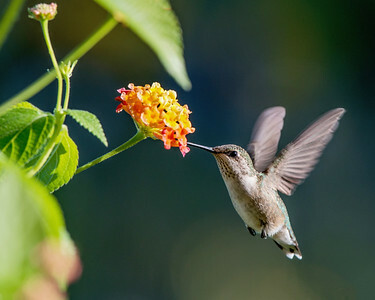 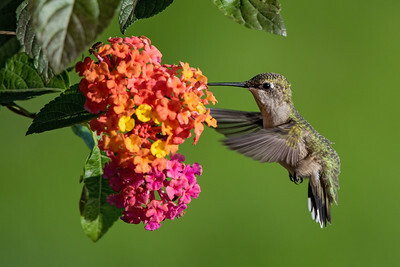 A ruby-throated hummingbird at lantana flowers. 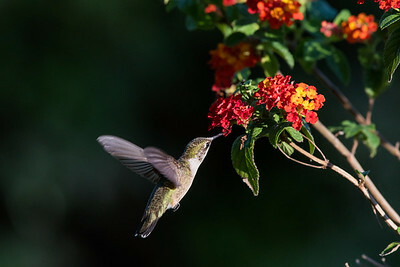 A ruby-throated hummingbird at some lantana. 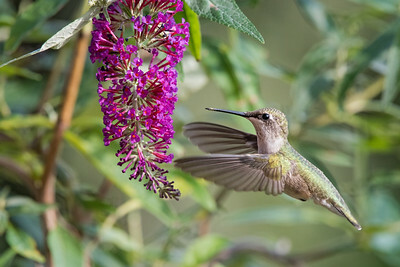 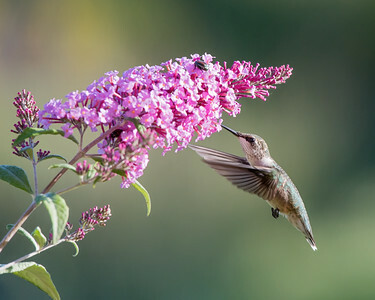 A ruby-throated hummingbird at a butterfly bush. 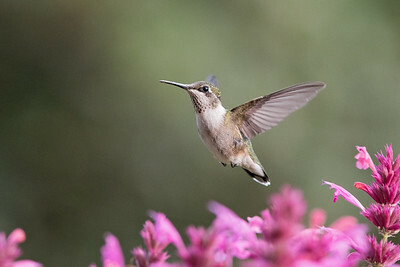 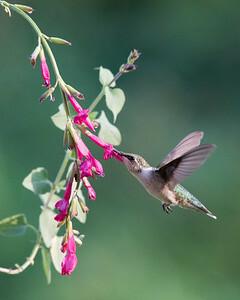 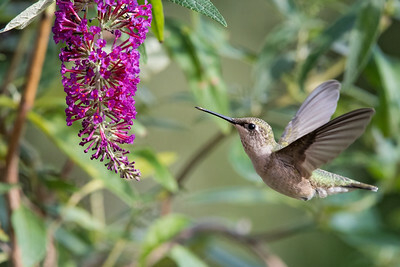 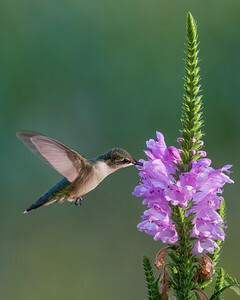 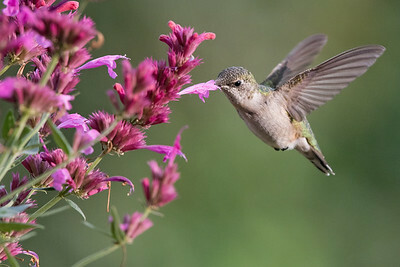 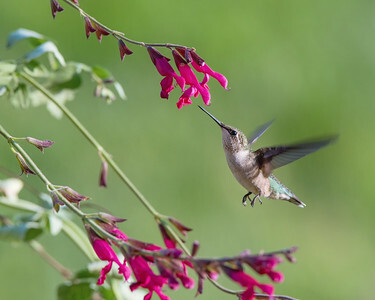 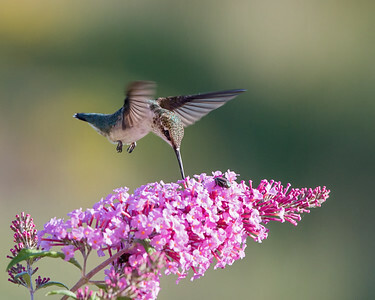 A ruby-throated hummingbird hovering over some pink salvia. 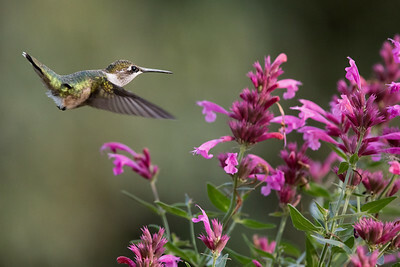 A ruby-throated hummingbird at some pink salvia.